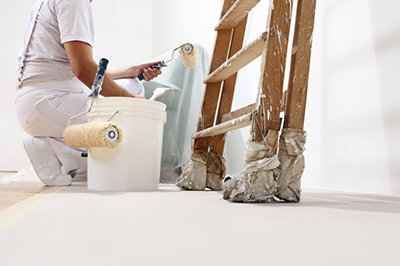 Contractor licensing officials in California have nabbed 23 alleged unlicensed operators, including eight painters and decorators in the Los Angeles area. 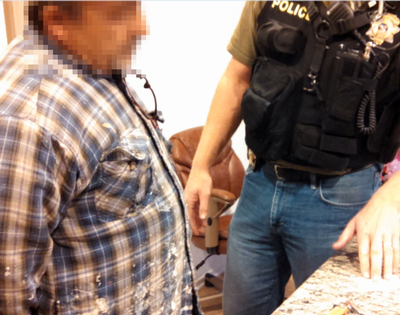 In order to snare the suspects, investigators with the Contractors State License Board (CSLB) conducted undercover sting operations Feb. 10-11 in two locations. The CSLB said 14 suspects received misdemeanor citations on illegal contracting charges in La Cañada Flintridge, and nine were cited in the Mount Washington neighborhood of northeast Los Angeles. Undercover investigators posed as homeowners seeking bids for a variety of projects and many of the suspected unlicensed contractors submitted bids for the jobs. The CSLB said that among those arrested were repeat offenders; a bidder who is on probation for a domestic violence conviction; and others who had outstanding traffic warrants worth as much as $50,000. CSLB’s Statewide Investigative Fraud Team (SWIFT), along with partners from a variety of local law enforcement agencies, executed the stings. The investigators posed as homeowners seeking bids for home improvements, such as painting, tree removal/service and concrete work. Painting bids ranged from $1,100 to $4,300—exceeding the legal limit of $500 for materials and labor before a state contractor license is required. Estimates given to investigators ranged from $1,100 to $4,300, for the painting bids. Most bids significantly exceeded the legal limit of $500 for materials and labor before a state contractor license is required. The $11,300 bid to replace a section of iron railing was the highest of those submitted. A majority of those caught were identified through illegal ads posted on online, according to CSLB. In addition to the misdemeanor charges noted above, 17 suspects were charged with illegal advertising. State law requires contractors to place their license number in all print, broadcast, and online advertisements. Those without a license can advertise to perform jobs valued at less than $500, but the ad must state that they are not a licensed contractor. The penalty is a fine of $700 to $1,000. The CSLB licenses and regulates California’s 300,000 contractors, and is regarded as one of the leading consumer protection agencies in the United States. A mere slap on the wrist will never discourage these illegal activities. They just continue to do this because most were repeat violators. Jail time might do the trick. In a perfect world jail time might work, but with the current jail population the way it is, they would be released without serving any or very little time. A more effective solution would be to initiate a work crew program. Put an ankle bracelet on them & let them go home at night. If they enjoy painting so much, put them in a detail that does graffiti removal. Roadside clean up could be another good use. That way, the public actually gets some benefit. Lord knows Southern California could use some help! !